Rosslyn's Ft. Myer Heights Park children's playground has some superb, state-of-the-art play equipment. Kids definitely enjoy climbing on that equipment and sliding through it. 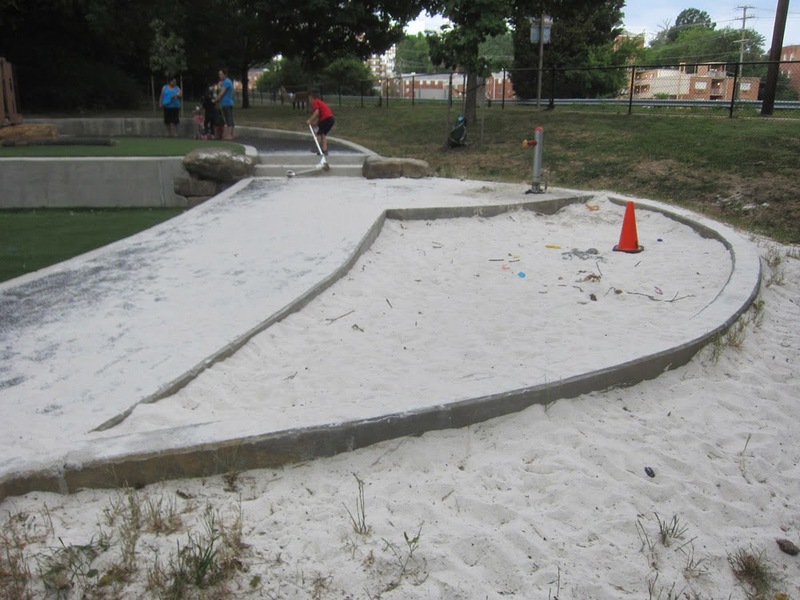 Yet a lengthy, Ode Street Tribune study has revealed that the most popular play equipment in the playground is the sand pit. Kids don't need fancy equipment to have fun. Kids are creative enough to have a lot of fun with just sand. Loose dirt probably would also be fun for kids if you can find some of that nearby. Fortunately, by the time kids become adults, parents and schools have beaten the creativity out of them and prepared them for most jobs in the modern workforce.